A bipartisan group of lawmakers has rallied around a bill that would make Oregon the first state in the country offer a universal service that would provide educational, emotional and financial support to new parents of infants and young children. Senate Bill 526 would set up home visits by public health nurses to the homes of new parents to address their questions and concerns about their child’s health and try to alleviate postpartum depression and other forms of anxiety they might face. The bill, as written, calls for a study to be conducted on home visits, but Sen. Elizabeth Steiner Hayward, D-Beaverton, one of the bill’s chief sponsors, said during a hearing of the bill in the Senate health committee on Monday that the first draft was written before the session when lawmakers hadn’t yet realized how much research the Oregon Health Authority had conducted on the subject. Steiner Hayward said an upcoming amendment will include home visits by nurses to homes of parents with a newborn. Not everyone agrees. Critics worry that the bill could lead to government overreach and possibly even result in public officials taking children away from parents. They also say the bill would make the visits mandatory, something the backers deny. The bill was modeled after Family Connects International, a program which was developed in 2002 by Duke University’s Center for Child and Family Policy. The program was designed to prevent cases of child abuse and neglect in Durham County, North Carolina. While a federal program already pays for some home visits in Oregon and elsewhere, the idea behind the universal nature of Family Connects is that it isn’t targeted toward a specific type of at-risk parent but instead is intended to be a resource for everyone. Family Connects is now available in 16 counties across 10 U.S. states, including Lincoln County, Oregon, which began participating in 2017. A spokesperson for the county declined to comment about it, saying it was too new to provide data or discuss. Studies published by Pediatrics and the American Journal of Public Health indicate that the program can reduce emergency medical care by up to 59 percent for infants within the first 12 months of life. Steiner Hayward said the program would cost about $600 per family. For families on Medicaid, the state would pay half of the cost, with the federal government paying the rest. Family Connects claims that for every dollar invested in the program, $3.02 is saved in emergency health costs. The organization estimates that for communities averaging nearly 3,200 births each year, an annual investment of $2.2 million in the program would save the community $7 million in health care costs for the first two years of a child’s life. Cate Wilcox, the Oregon Health Authority’s maternal and child health section manager, said Oregon’s implementation of the program would roll out slowly with an initial cohort of five to six communities comprising about 10,000 families on Medicaid. She said the initial phase of training providers, picking the communities and setting up logistics would take about a year. The program would go statewide by 2026. The bill, though designed for all new parents, does not take a universal approach. Steiner Hayward said services would be offered to all new parents and be administered by a nurse but that the program would be individually tailored to fit the needs of each community. Gov. Kate Brown made universal home visits a priority in her agenda. Her 2019-21 budget includes $8.7 million for the program. It would complement existing services run by the U.S. Health Resources and Services Administration, an agency in the U.S. Department of Health and Human Services that aims to improve health care services for people who are uninsured, isolated or medically vulnerable. The agency gave Oregon nearly $8.8 million last September to fund the federal Maternal, Infant, and Early Childhood Visiting Program, which offers education and support primarily for struggling families and those at or below the federal poverty line. Steiner Hayward said parents of all social and economic backgrounds could benefit from home visits. She, too, struggled with postpartum depression, she said. According to the American Psychiatric Association, up to one in seven women experience postpartum depression, which often goes beyond the normal symptoms of depression and anxiety and can include months of misery and apathy. About half of all women diagnosed say it is their first experience with depression. 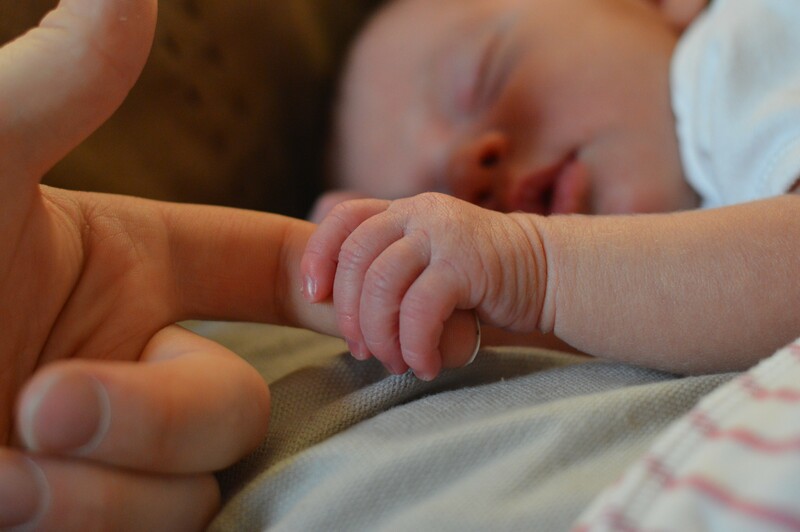 Supporters of the bill say postpartum depression can be combated and possibly eliminated altogether with something as simple as a connection with a nurse. For 17 years in a row, nurses have topped the Gallup Poll’s list of most trusted professions. “It was such a relief for us when the (Department of Human Services) nurse came out just to have a conversation with us,” said Rep. Duane Stark, R-Grants Pass, a chief sponsor of the bill. Stark, who has seven children, said his most recent child was born prematurely. He said talking with a professional assuaged many of his and his wife’s concerns. Eva Rippeteau, a parent of two, said the birth of her first child brought with it anxiety and confusion, as the infant had trouble feeding, which caused Rippeteau emotional and physical pain. A visit with a lactation nurse helped her discover that the child had tongue-tie, a condition that restricts a tongue’s range of motion. Rippeteau credited finding a nurse and the subsequent diagnosis with bringing her out of the depression and uncertainty she felt. She said there’s a stigma that only “bad parents” need help, and universal home visits could erase that stigma. But not everyone supports the bill. Monday’s hearing was preceded for weeks by an outcry from critics who said parents would be forced to open up their home to an inquiring stranger. Stark said such speculation amounted to “fear mongering,” something opponents denied. Eckhart said universal home visits could lead to “welfare checks” that take children away from their families. She said she herself has been harassed by a nurse who accused her of neglecting her child. Another local parent, Daniel Chapin, said he believes the intentions of the bill are good, but said he opposes it because even if the visits are an opt-in measure, he said parents would be pressured to accept. He also expressed concerns about a government “agent” going into the home of a new parent. Steiner Hayward indicated that the upcoming amendment would ease such fears. Once the amendment is introduced, the bill will undergo another public hearing. Have any tips about health care legislation or other ideas? You can reach Alex Visser at [email protected].